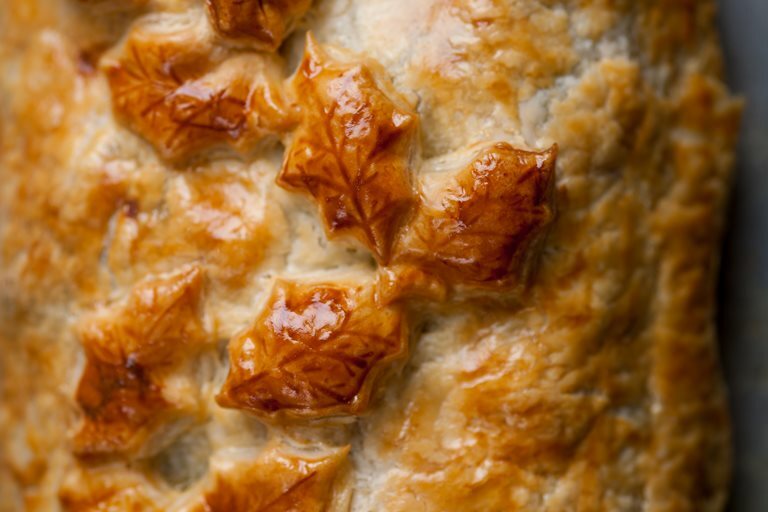 This lavish vegetarian Wellington recipe from Andy Waters would make a fantastic centrepiece for a vegetarian Sunday lunch or even Christmas Day. 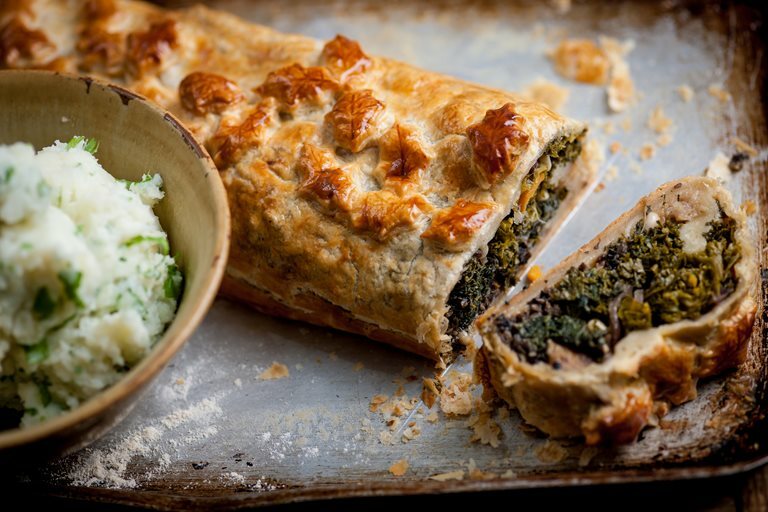 This puff pastry parcel is bursting with sweet potatoes, mushrooms, kale and spinach, plus some festive chestnuts, too. Meanwhile, place a saucepan over a medium heat and add a dash of olive oil. Once hot, add the onions along with a pinch of salt and pepper.